From the preeminent female filmmaker in the Arab world comes the extremely likable and totally engaging Wajib. This wry dramedy follows a divorced father, a respected teacher, and his visiting architect son as they hand deliver wedding invitations in Nazareth in the lead up to Christmas. The film is replete with lively, believable dialogue and relationships. 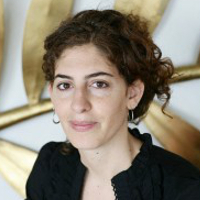 Poet, curator and filmmaker Annemarie Jacir is known for a diverse range of work, including her films When I Saw You (’12) and Salt of the Sea (’08) as well as her numerous publications for poetry, such as in the Crab Orchard Review and Mizna. She founded the Dream of a Nation Palestinian Cinema Project and is part of the Palestinian Filmmakers’ Collective, an organization she helped build as well.